Cool, lets see how soon this makes it out, especailly to US. Also, would love to see what the specs look like. We’ve already gotten quite an eyeful of Nokia’s N97 Mini — so much so that it’s hard to believe this thing still isn’t official. So be it, though, here’s the first official press shot we’ve seen, from the same site that revealed the N900 pic earlier. Feeling any more excited about it now than you were yesterday? Us neither. Nokia N97 Mini press photo outed, existence still not official originally appeared on Engadget Mobile on Tue, 25 Aug 2009 17:23:00 EST. Please see our terms for use of feeds. Mobile TV is looking like a growth area in the cellular industry. Clearly, it has yet to reach the US, but worldwide, people are increasingly watching TV on their phones. I think this trend will tend to continue as more and more people get cheaper, easier access to TV anywhere. Also, another trend that is helping and will be increasingly driven by this development is a-la-carte subscription which I would suspect would spill over to the cable and satellite providers too. Let’s see how this plays out. The number of people across the world using mobile TV is expected to increase to 54 million this year analysts have predicted. Looking forward to Blue Earth and see how it functions in the field. I sure hope it comes to US. Samsung has just announced at an event in San Francisco that its touchscreen Blue Earth with solar power (and one of the best paint schemes we’ve ever seen, may we add) will be launching this October, though we don’t yet know what regions will see it. If we had to guess, it won’t be in the US — but maybe the panels aren’t compatible with 120-volt, 60Hz sunlight. 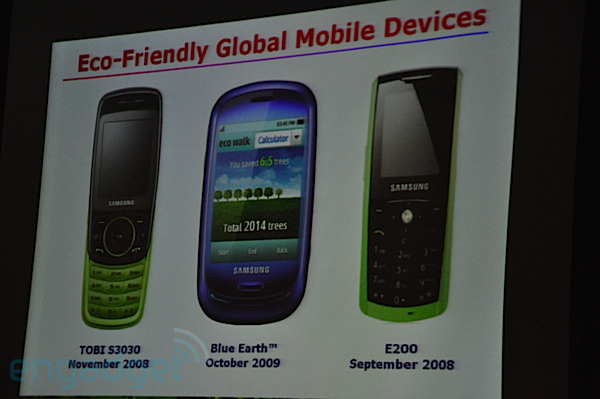 Samsung Blue Earth solar phone coming this October originally appeared on Engadget Mobile on Tue, 25 Aug 2009 16:05:00 EST. Please see our terms for use of feeds. Message from sender: This is interesting and could boost Microsoft’s grip on mobile office productivity suite. Let’s see how this works. I wonder how long before Microsoft releases Office suite as iPhone apps. The partnership, expected to be announced on Wednesday, is part of Redmond’s strategy to expand its desktop strength into a trifecta of PC, Web, and phone. Blackberry Storm 2, now endowed with Wi-Fi hits both Vodafone Germany and Verizon in October. Though, the two models are slightly different, 9520 for Germany and 9550 for Verizon, the major change included in both is the Wi-Fi feature. Here’s looking forward to this new version. In the meantime, enjoy the photos below. We’ve seen the BlackBerry Storm 2 several times until now, but none of the units leaked were for Vodafone. 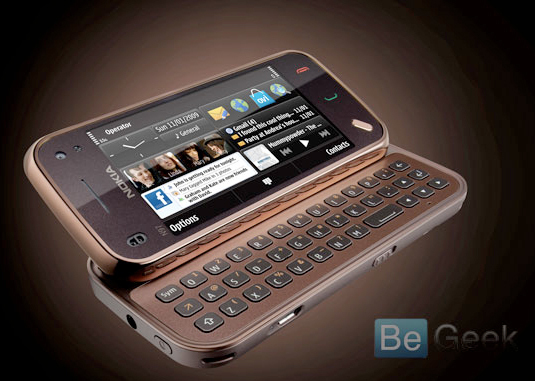 Well, Vodafone’s Storm 2, aka 9520 aka Odin, has recently appeared in some live pictures, over at benezblog.de. The smartphone works on Vodafone’s Germany network, it has 3G and it doesn’t looks too different from the first-gen BlackBerry Storm. However, like Verizon’s Storm 2 (9550), Vodafone’s new handset comes with Wi-Fi – a feature not included in the original model. As you can see in the image above, this BlackBerry Storm 2 runs the BlackBerry OS 5.0.0.138. The release date of RIM’s BlackBerry Storm 2 is not known, although rumors say that the smartphone will be released by both Vodafone and Verizon in October this year. Blackberry Storm 2 Specs Leaked, Coming to AT&T? One place that iPhone does not rule yet has a unique solution for letting iPhone users watch TV. I wonder when it will cross over the pond to US. In Japan, it’s hard to find a cell phone that doesn’t come with a digital TV tuner nowadays. Some of them even have two (so you can watch one program and record another on your phone’s microSD). And some people in this country actually do use these tuners, which means the iPhone is at a disadvantage when compared to domestic phones. Japanese customers could buy an iPhone-exclusive add-on, which turned their iPhones into portable TV tuners last year, but that device is now sold out. Now I-O Data takes another shot at the problem by releasing the SEG Clip [JP], a USB 2.0 stick that makes it possible to watch digital TV on your iPhone. The stick supports 1Seg, a digital TV standard in use in Japan, Peru and Brazil only, and is supposed to be plugged into your computer’s USB port. Users can then stream digital TV data from their computer (Windows XP/Vista only) to their iPhones via Wi-Fi. It’s also possible to save TV programs on the iPhone and watch them on the go later (an app called TVPlayer is available for free in the Japanese AppStore). The SEG Clip can be used with the iPhone 3G/3GS and the iPod touch. It will be released in Japan at the end of this month (price: $70).